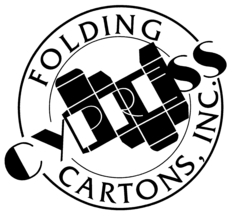 Cypress Folding Cartons specializes in the manufacturing of custom retail and display packaging. We are located in Tampa, FL and deliver our products locally as well as across the country and internationally. Family owned and operated since 1985, we value our customers and strive to provide the most rewarding experience possible. Cypress is your one stop shop for all packaging solutions. We do all of our printing, die-building, die-cutting, gluing, laminating, and fulfillment in house with advanced machinery and personnel. With three generations of experience, our designers are the best in the country and will find a creative solution for your product. Superior packaging is one of the greatest sales tools available. Cypress will have your product stand out from the rest.